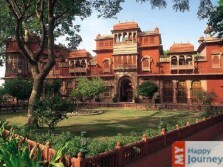 Bikaner is an imperial city with an eternal appeal. Sited in the north of the desert state of Rajasthan, this magnificent city is speckled with a number of sand dunes. Imposing city of citadels and extravagant palaces, Bikaner is a renowned city of Rajasthan which is known worldwide for its vivacity and rich culture. The city has kept a hold of the medieval magnificence that has permeated the city's lifestyle. More commonly known as the camel country, the city is well-known for the preeminent camel rides in the world. Named after its founder Rao Bikaji, this city is a wonderful testament of rich historical and architectural legacy. The magnificent forts and palaces, built with delicacy in reddish pink sandstone, are still retaining the glory of the yesteryears. 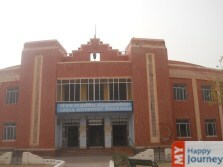 Surging lanes, vivid bazaars and bright and jovial folks make Bikaner a fascinating experience. 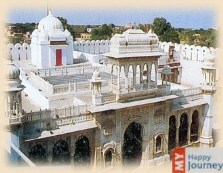 Bikaner offers numerous attractions and the most popular one is the glamorous camel safaris. One can visit the stately forts or the Mata Karni temple which is known across the globe for worshiping rats. The camel festival that takes place in January is an event worth seeing. 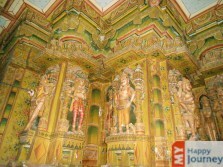 Other major attractions of Bikaner are Junagarh Fort, Gajner Palace, Deshnoke Temple and the Ganga Golden Jubilee Museum. The sand dunes settled in the vast golden desert is the main attraction of this city. Having the largest Camel Research and Breeding farms in the whole world, the city provides the best camel rides. The camels are marvelously festooned with local handiwork. Besides these general tourist attractions, the vivacious markets are a must visit, as they proffer the unmatched creativity, crafts and delicacies of Rajasthan.